Atlas models seem to be shipped regularly now. Perhaps with so few series left running they have the stocks set aside in the warehouse all ready to go. One wonders how long the Deluxe Dinky series will last as I am sure that the number of subscribers must be tailing off with many put off by the fact that it has turned into a series of French Dinkies. On the other hand, if there are many left over models from the French series, I expect they will get shipped to us until there is nothing new left. 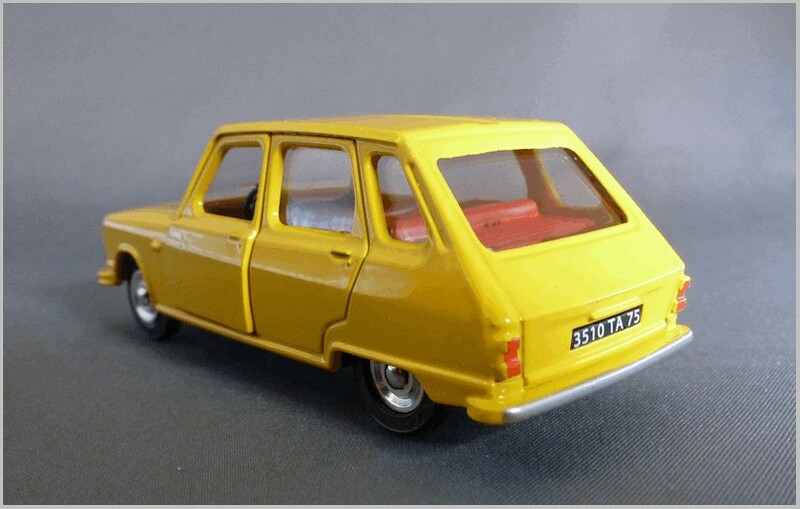 The model shown here is a replica of French Dinky #1416, a Renault 6 to 1:43 scale. 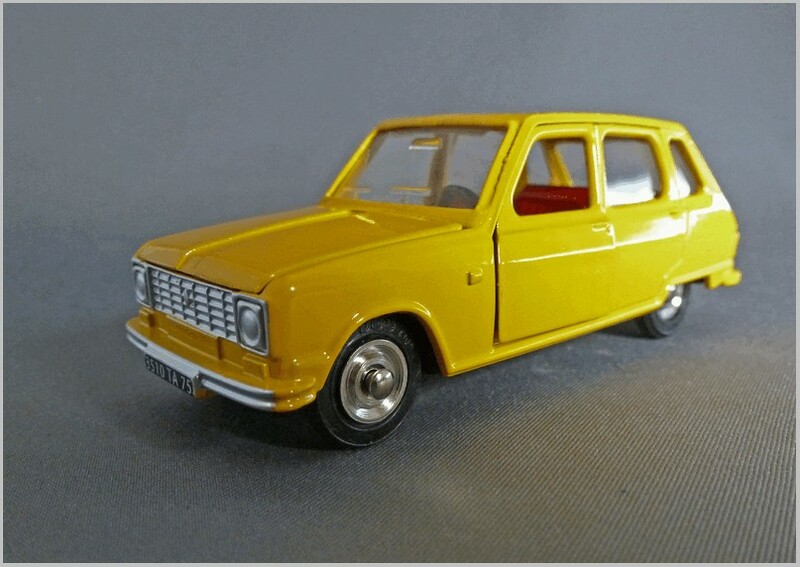 This model is a later one sold from 1969 and produced in Spain for Dinky by Pilen. If it looks familiar that is because we have already had the earlier French made 1416 in Red in this series which you can read about here. As if often the case the box art work shows the car in a colour never issued by Dinky. It is a curious picture as it shows the front doors open with no window frame featured yet the whole door is modelled. As is usual with the later pictures no artist is credited and there is no interesting background to liven up the box. 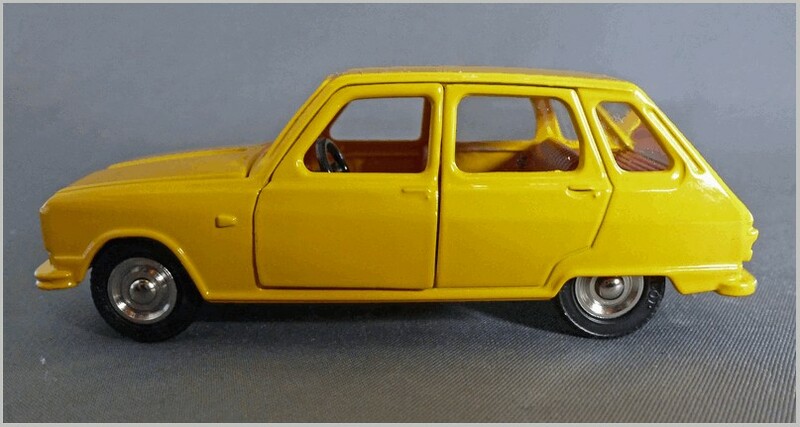 I will not repeat the information about the Renault 6 you will find in the original article here, just take a look at the Spanish made model. This differed from the earlier French made model as it had modifications to the front grille and lights to represent an updated version of the R6 and the bonnet opening mechanism actuated by pushing down the steering wheel in the French made car, and the earlier Atlas replica, was not included. 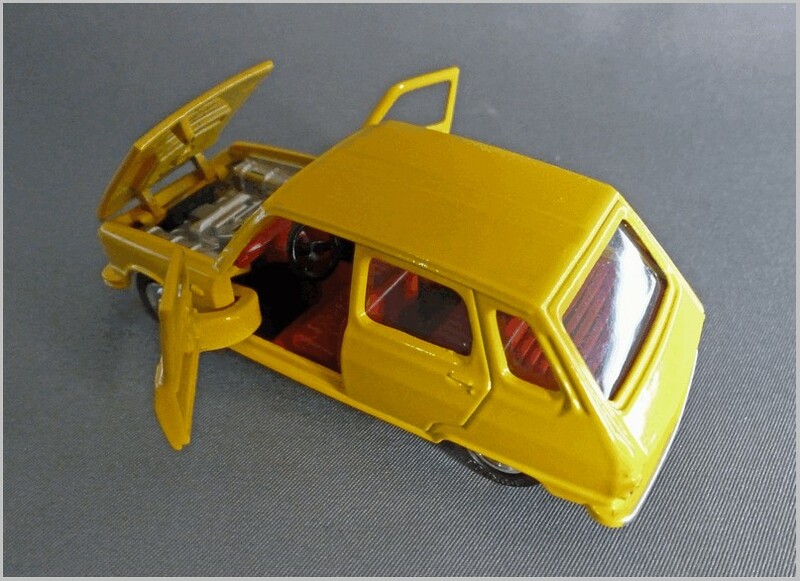 It continued using the same number plate from the previous version which was a sign that Dinky were no longer paying as much attention to detail as they had in earlier years. The poor fit of the opening front doors was not addressed and they still let down the rest of the casting. The base is plastic and the front bumper has lost its overriders despite them still being shown on the box. The car also sits strangely low at the rear when the R6 always seemed to ride higher at the rear than the front. Perhaps not an exciting model or even particularly welcomed by collectors when the earlier model has already been collected. 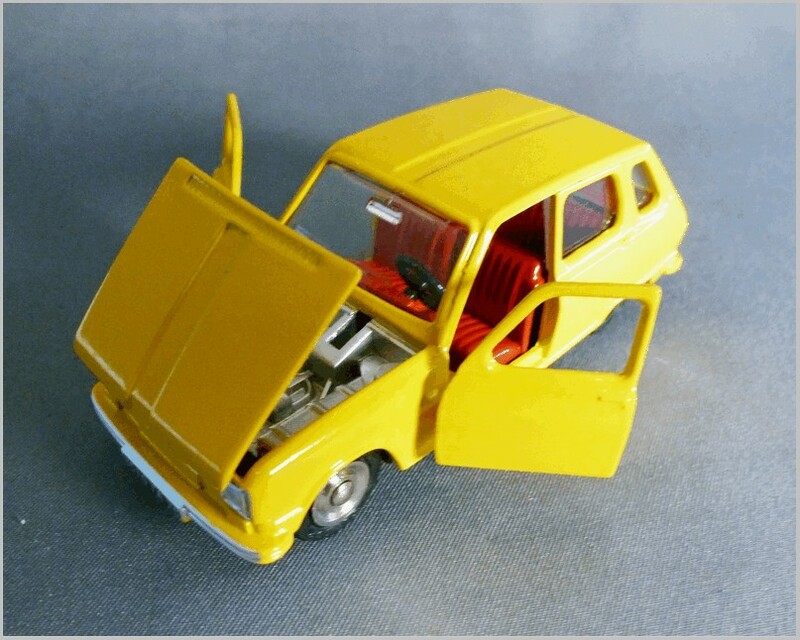 The next car in the series has already arrived and it is #1420 Opel Commodore.